Well this one is so easy it’ll be short. Here’s the direct link to the video. 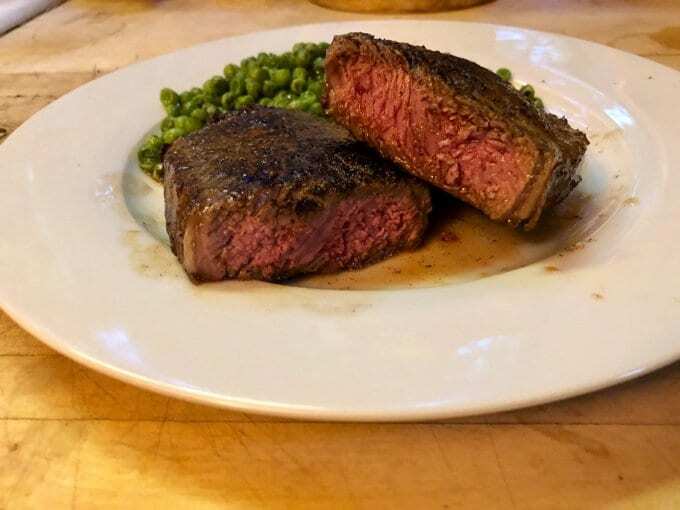 I particularly like New York strips for the AirFryer because they tend to be uniform in size the thickness so the same cooking time and temperature always works with no guesswork. People always ask which AirFryer. So, GoWISE USA 5.8-Quarts 8-in-1 Electric Air Fryer XL. In this case, it’s the recipe and procedure for the whole meal, but feel free to use sides you may prefer. 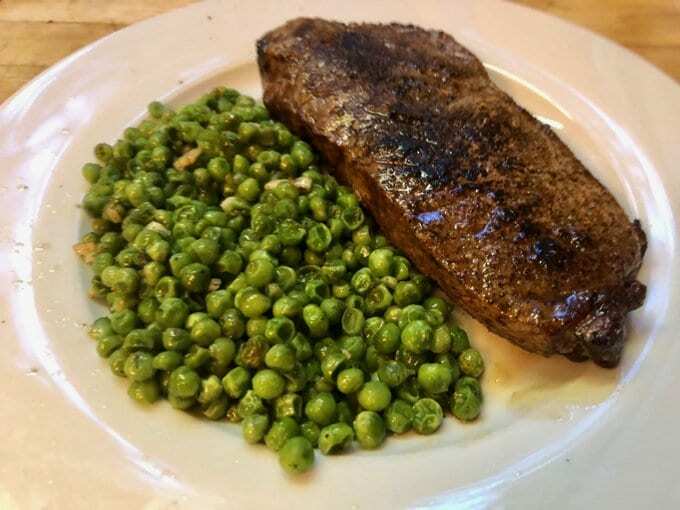 I love green peas, especially the way I do them. Check out the rest on Patreon and see the video. Not related to the post, Richard, but did you ever find a good farm to purchase beef/pork/eggs from in the bay area that’s relatively cheap? I just moved to Sunnyvale from Chicago and prices are out of this world expensive. I used to buy from a farm in Indiana that did monthly deliveries up to Chicago and could get eggs for $4, steak for $10-12/lb, pork for $5. I’d imagine somewhere in San Jose there are places, I just cant find where and EatWild hasn’t been all that helpful thus far. I can’t remember the CSA, or the prices but I had a monthly delivery that was pretty decent. I’m not in Bay Area any more, for 2 1/2 years now. Stuff is expensive everywhere. In terms of markets Inended up using Sprouts quite a lot.